Some artists make perfect sense to pair together on a bill. Jorja Smith and opener Ravyn Lenae are 21 and 19, respectively; both are classically trained singers who mix R&B, soul and jazz into a sound that at times resembles trip-hop. But they set themselves apart from each other at the Orpheum Theatre last night by touching on different politics. Lenae kept the energy in one gear and promoted self-love, self-care and body-positivity. She often began her songs with a question. "Who's ever been friend zoned?" she asked before "4 Leaf Clover," her anthem about unrequited love. "Who's ever fallen in love over the internet? Who's ever been in a long-distance relationship?" her preamble before "Computer Love" went. The point of her songs is to let go of relationships and crushes, move on, and heal out of respect for oneself. Lenae asked the audience to put one pinky in air and promise to move their bodies. At most, everyone grooved in their seats. No one seemed as taken by her as one might have expected, given her similarities to Smith. But they were more than polite as they cheered an overall successful showcase for Lenae. Of course, fans shot to their feet for Jorja Smith. The politics of her songs skewed more toward the social than the personal. Blue, red and white lights spun, mimicking a police cruiser, as she sang about the racial profiling that too often fuels police brutality on her breakout single, "Blue Lights." Smith was at her best during keyboard-led ballads, holding nothing back as she flexed her powerhouse vocals on "Something in the Way," "The One," "Tomorrow" and "Don't Watch Me Cry." Smith's band of live players were in their own class. Crystalline keys shimmered on "Lost & Found." When she finished rapping on "Lifeboats (Freestyle)," they continued jamming as she caught her breath offstage. Fans lost their minds when the band kicked up the tempo mid-song on "On My Mind." Besides cuts from her 2018 debut album, Lost & Found, and 2016 EP, Project11, she dipped into her repertoire of collaborations. These included "I Am" with Kendrick Lamar, from the Black Panther soundtrack, and "Let Me Down" with Stormzy. 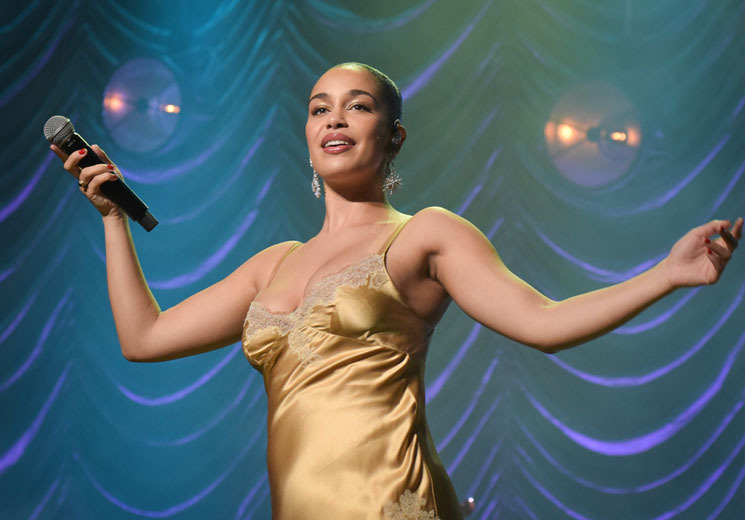 Despite Jorja Smith's fast-growing success, at one point in the night, she expressed disbelief at seeing everyone singing all the words to her songs. But on Lost & Found, she exudes confidence. She knows what she wants: music stardom. And every show like last night's brings her one step closer to achieving her dream.